This advanced, fast acting self tan is streak free and glides easily onto the skin to create a healthy, natural looking tan. Leave it on for 1 hour for a sun kissed effect, 2 hours for a golden glow, or 3 hours for a deep, dark bronzer colour. Garnier Ambre Solaire No Streaks Bronzer 150ml. No Streaks Bronzer gives a natural-looking golden tan. Quick and easy application. 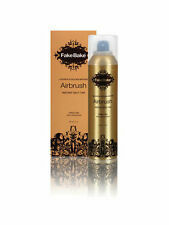 Fake Bake Original Self-Tan Lotion 170ml. Size 170ml. Coconut Water Tanning Mist 150ml. Our tanning agent is naturally derived. No parabens, no sulphates, and no streaking ever! Our NEW Night Elixir fake tan not only gives you an overnight boost of hydration it gently works on building your perfect warm natural tan from the 1st morning. Simply wash off when you wake up for a long lasting golden glow! 2 X AVON SKIN SO SOFT ENHANCE & GLOW AIRBRUSH SPRAY ~ 150ml. 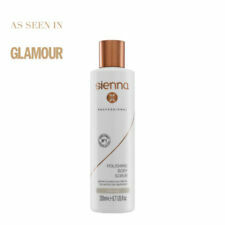 Self-tanning spray that gradually builds an even, sun-kissed glow & leaves skin touchable soft. Allows for easy targeting of hard-to-reach areas like back & shoulders. Self Tanning Application Mitt. KW1-KW17, PA20-PA38, PA41-PA49, PA60-PA78, PH4-PH44, PH49-PH50, PO (Isle Of Wight) TR (Isles Of Scilly) ZE (Channel Isles). Apply Self Tanning Product With The White Side & Buff Away Excess With The Brown Velvety Side. Skinny Tan Exfoliating Mitt - New. LA Tan ~ Spray Tan Solution ~ 250ml ~ Full range available! Never worry about orange hands again! Product Details. Fake Bake Original Self-Tan Lotion. free application gloves. 200ml Spray. The fast drying formula gives an instant, streak free bronzed tan that deepens after application, while the added Aloe Vera and Vitamin E leaves the skin looking and feeling soft and glowing. 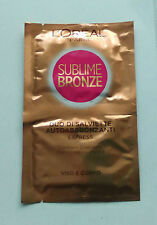 This mousse is perfect for giving your skin colour that added bronzed look. You can achieve a light sunkissed glow in just 1 hour or you can leave it on for up to three hours for a dark bronze colour. 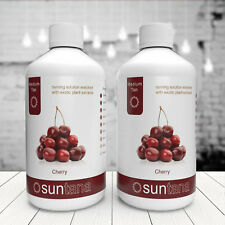 Cherry Spray Tan - 500ml. 500ml will provide 6-8 full body applications. Cherry Fragrance. Promotional Material. 100% Quality Guarenteed. Watch Item. Make tanning simple wherever you go with Zhuzh Tan Accelerator 200ml, perfect to use in any natural light. 2 x Zhuzh Tan Accelerator 200ml. This is not a self /fake tan! There is NO beta carotene in Zhuzh. Extra Free Bonus on 10 25 and 50 Unit Orders!!! Gradual Tan. A revolutionary Gradual Tan with advanced skincare benefits. Wash hands after each use. Wait until touch dry before getting dressed. Exfoliate regularly. Sun Tanning Pills. Yes you guessed it, you don't even need any sunlight to get a tan. The Sun kissed tanning pills will give you a natural bronze glow without any exposure to natural sunlight. You will get a warm, natural looking deep tan. 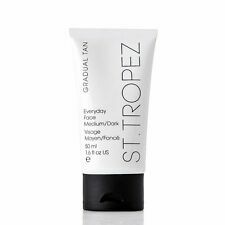 St Tropez Self Tan Classic 125ml. 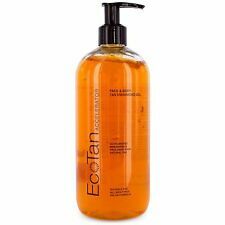 This lightweight, clear water-to-foam formula is infused with 100% naturally derived and vegan friendly tanning agents that refresh and revive your skin, with no need to rinse off. Step 4: No need to rinse off. Our most iconic, natural and healthy looking tan. made with love by. We will always help you to have a 100% positive happy buying experience. Soft and subtle citrus scent. Things you need to know. St Tropez Self Tan Express Bronzing Mousse - Advanced 1 Hour Tan - 200ml. St Tropez Self Tan Express Bronzing Mousse - Advanced 1 Hour Tan - 200ml.. Condition is New. Dispatched with eBay delivery – Shutl 2-3 days. 5 out of 5 stars - St Tropez Self Tan Express Bronzing Mousse - Advanced 1 Hour Tan - 200ml. 54 product ratings54 product ratings - St Tropez Self Tan Express Bronzing Mousse - Advanced 1 Hour Tan - 200ml. 200ml bottle. gives you a richer, longer lasting tan. Contains Aloe Vera. The BUTTER 200ml These are new and sealed. A multi-tasking false tan. Lightweight and quick-drying, The Butter is a nourishing gradual tan that locks in moisture for up to 24 hours. Refreshing and illuminating dry, dull skin, use regularly as a skin perfecting treatment that delivers natural colour in 4-6 hours. Tan Accelerator is a great size for travel. Perfect for popping in your beach bag, or handbag; half the size of the standard formula, with all the effectiveness! Contents: 1 x Zhuzhette Tan Enhancer Accelerator 100ml. ST.TROPEZ Self Tan Classic Bronzing Mist 200 ml,Ship International!